Gugh is a tidal island on the east of St Agnes. 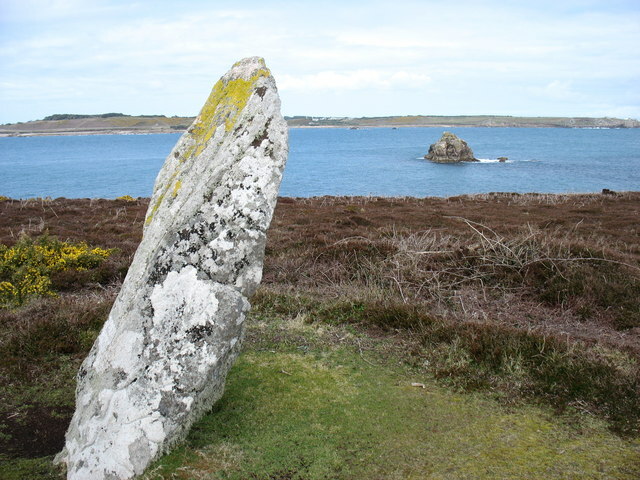 The 'Old Man' is the standing stone seen here, and The Bow is the conspicuous 12m high rock islet to its right. In the distance is St Mary's, with the trees on the Garrison clear to the left of the Old Man.